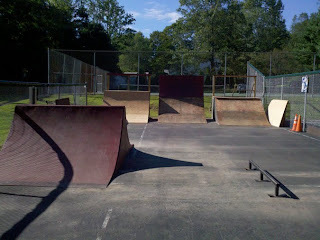 The East Hampton Skatepark got ravaged by the harsh Winter. Steve and I had plans to resurface the park with some of the skatepark committee youth in late May, but we were told by the town that the ramps were not structurally sound and most of them needed to be torn down. Honestly, there were only 2 ramps that needed re-enforcing and nothing needed to be torn down. Long story short, we gave up on the park at the point. We put in 28 hours of volunteer time building the ramps last year, why spend 8-10 hours more resurfacing ramps that are just gonna be torn down?!?! 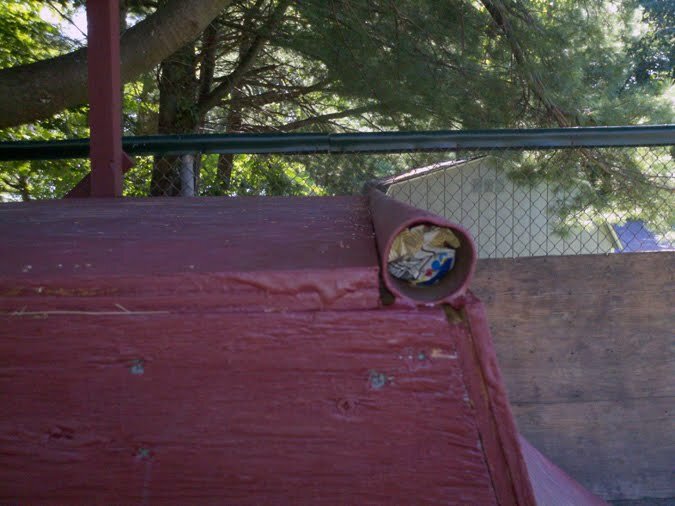 The town demolished the grind box, 1 quarter pipe, and the box jump set-up. 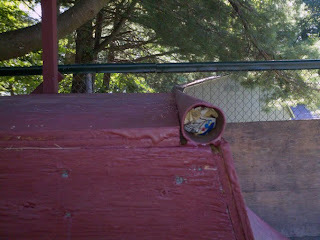 To our surprise, they are in the process of resurfacing and repainting the remaining ramps. Wow, didn't see that coming at all! I figured the park would be leveled by now. I'm psyched that the ramps are getting a much needed facelift. I stopped by today and the place looks pretty good. Props to whoever is doing the work on the ramps, not too shabby. The one exception is the death coping, look out! Looking forward to riding the park next week when it's finished. Thanks EH Parks & Rec!